Welcome to Island Alpaca's Alpaca Cam! Live Streaming! New baby on board!! CONGRATS TO Silver Angel and her little baby boy!! Come visit -- Open every day 10 am to 4 pm! We have a winner for "Guess the Baby's Weight" Contest. D Napier! We will be emailing you shortly for your $50 gift certificate to our online or in store! You were the only one to guess 18.4 pounds! Which was the correct weight of Silver Angels not so little cria! Congratulations! Watch him grow on our live streaming alpaca cam!! ..Kudos too to our staff member Rebecca, god mother to the baby, as it was she who discovered the new baby this morning at 6 am, and guessed 18.5 pounds, and J.Sylva who guessed 18.3! Our next baby coming soon... should be some time mid-August! Please be on the watch for Angelina in labor. She is currently adorned with red fabric colar! Watch the daily activity of the alpaca at Island Alpaca Farm live. Best time to view is during daylight hours. If you do not see the alpaca, they are either out on the pasture, or in the barn for their morning or afternoon feeding. If it is raining, they are likely in the barn. If you are interested in witnessing an alpaca birth and seeing the new crias, we will send out advance notice when a birth appears imminent. Follow us on Facebook or Twitter to stay in the loop! Follow us on Facebook click here! or on Twitter here! 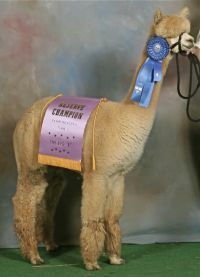 To subscribe to Island Alpaca E-News letter. Click Here to join! We would love to hear from our Alpaca Cam viewers. Please send us your feedback anytime. Click here to submit a comment or observation. Thank you for visiting! For any emergency, or should you witness a birth in progress please call us: 508-423-1443 or 508-338-2886. Thank you! Thank you Ms. Smith for your generous enthusiasm! Thank you Ms. Schmohl for your wonderful comments! "Thanks a lot, your camera ist just lovely and it is phantastic to watch these beautiful animals especially babies when they are around and about. I live in germany an i am very fond of alpakas. A very good idea to have such a camera!! Thank you Ms. Lee for your feedback on your discovery! "Just placed an order and ended up looking into other parts of your website. What a wonderful idea to have a live streaming view! Next time I need to smile or laugh or give a smile to a friend I will try to come back for a virtual visit. Thanks! Linda"
Thank you Ms. Hendrickson for kind words! "Just wanted to let you know that my husband and I are really enjoying the "Alpaca Cam"-we first learned about your farm in an article in Cape Cod Life and have been fascinated with your wonderful friends ever since."